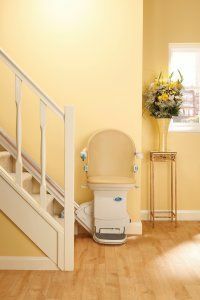 Central Stairlifts are suppliers of quality New and Used Stairlifts based in Worcestershire with a wealth of experience in supplying and installing the most suitable stairlift to meet your specific requirements and budget. Established in 1992 Central Stairlifts is still a family run business with over 40 years experience in the stairlift industry. 24 months warranty on New 12 months warranty on reconditioned. As an independent supplier Central Stairlifts can Install and maintain a wide range of stairlifts from leading manufacturers and cover the West Midlands and Worcestershire with our own fully trained engineers. We can cater for your every need and give you back your independence. All our stairlifts come with Free installation, manufacturers warranty including 2 service visits and our own 24 hour emergency call out service 7 days a week to give you total peace of mind and all this begins with a free no obligation home survey to assess your individual needs and requirements. We have no pushy salespeople. A genuine stairlift engineer will call to identify any problems. Central Stairlifts will also service and repair most makes and models should you already have a stairlift installed even if you didn't purchase from ourselves. We also offer a great buy back scheme on most stairlifts we have supplied, should you no longer require it. 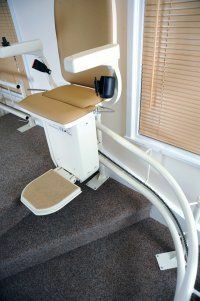 At Central Stairlifts we aim to make the purchase of your stairlift as hassle free and as straight forward as possible. We understand this could keep you in your own home and make life that little easier.